The Mercedes news keeps on rolling in with the latest bits of information regarding the next-generation SLK roadster, which will be renamed the SLC-Class starting with the 2016 model year. Destined for debut as a 2018 model, it’s reported the new drop top will feature a hybrid powertrain similar to the new C-Class sedan. According to AutoExpress, the new SLC will also ride on the modular sports car architecture (MSA), just as the larger SL roadster. The new underpinnings will allow the SLC to accept a larger variety of engine and transmission options not currently available. That, combined with the C-Class’ plug-in hybrid powertrain, opens the possibilities for an all-wheel-drive option as well. 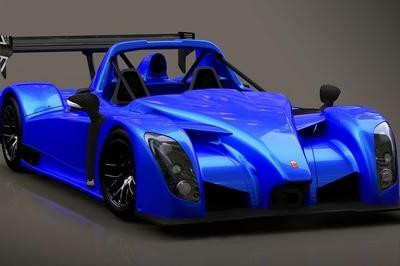 Living up to its name, the modular sports car architecture allows engineers to easily change the lengths, widths, and wheelbases. This will help differentiate the SLC from the larger SL-Class, while keeping engineering and manufacturing costs to a minimum. Even with the new platform, the SLC’s production will continue in the current factory in Bremen, Germany. The SL-Class will shift production to that location as well. Mercedes’ crusade to improve fuel efficiency surely means some weight reduction over the current car. Weighing in at 3,163 pounds, the SLC is already a fairly light car, but could still stand to lose a few pounds. A reduced curb weight would also help it better compete again the Porsche Boxster and BMW Z4 Roadster. Click past the jump to read more about the 2018 Mercedes SLC-Class. The Boxster has become one of Porsche most recognizable, best-selling cars over its relatively short life span. 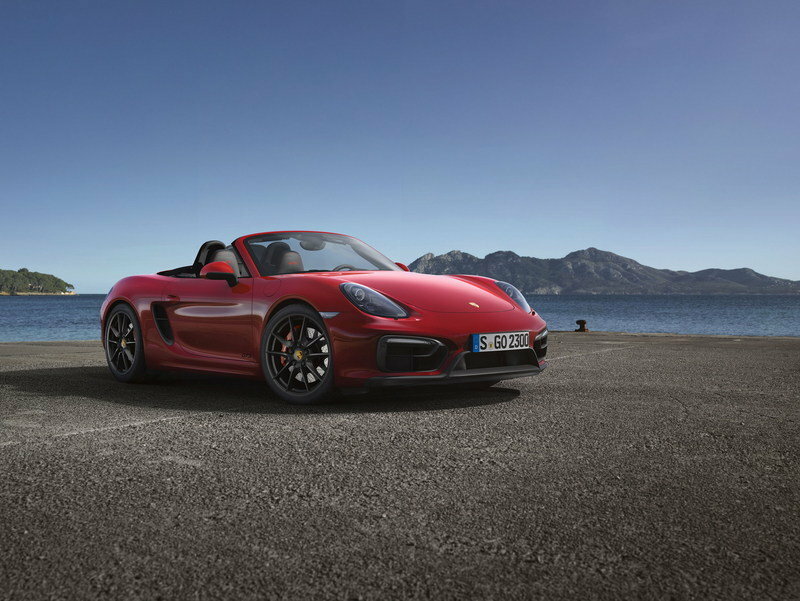 Porsche’s latest addition to the Boxster lineup is the GTS edition — a sportier, more powerful version of the already capable car. Powered by a 330-horsepower, 3.4-liter flat-six cylinder, the Boxster is able to hit 60 mph in just 4.7 seconds with the PDK transmission. Starting at $74,495 in GTS form, the Boxster represents a decent deal in terms of a soft-top convertible with competitive power and looks to kill. Sure, there are faster cars out there, but the Porsche does fast in its own Germanic way. 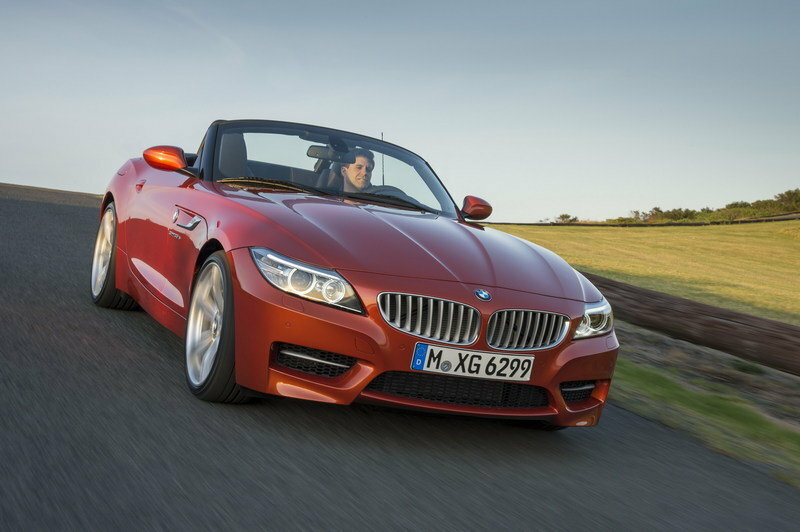 The BMW, like the Porsche, is a capable contender within the drop-top group. Power comes by way of two separate engines making three different outputs. 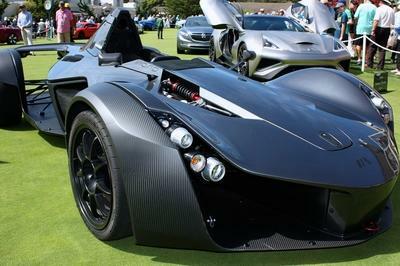 The base engine is a 2.0-liter inline four making 240 horsepower and 260 pound-feet of torque. 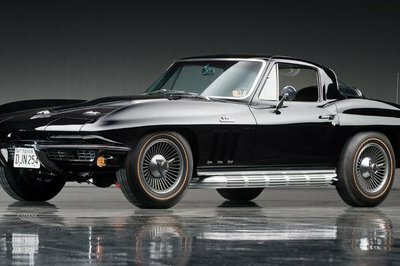 Jumping up, the 3.0-liter twin-turbocharged inline six produces an even 300 horsepower and pound-feet, while a higher output version adds another 35 horses and 32 pound-feet of power. In its most powerful form, the Z4 hits 60 mph in 4.8 seconds. Pricing for the Z4 sDrive28i starts at $48,950. The base 3.0-liter version in the Z4 sDrive35i starts at $56,950 and the high output version in the Z4 sDrive35is starts at $65,800. 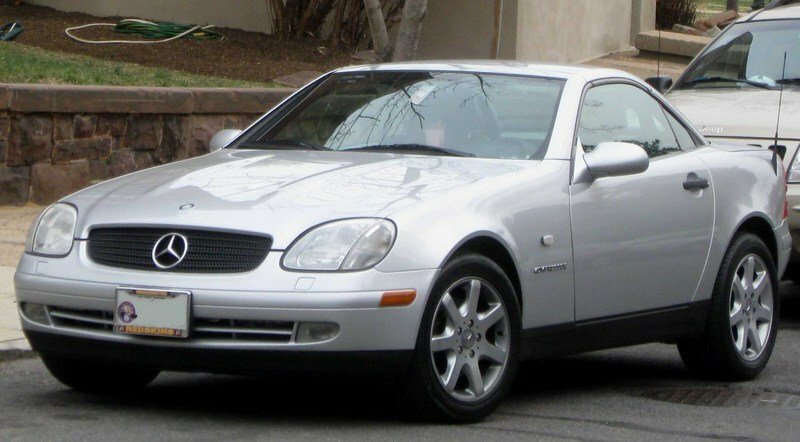 Starting in 1996 (’98 in the U.S.), the Mercedes-Benz SLK-Class was launched to compete directly against the Porsche Boxster and BMW’s then-small roadster, the Z3. 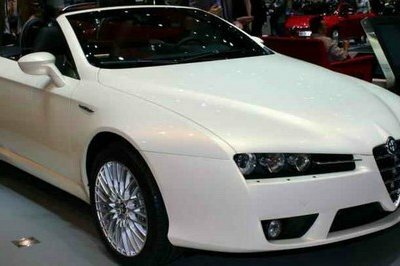 The car was a large success for Mercedes, selling over 300,000 units worldwide between its introduction and 2004. 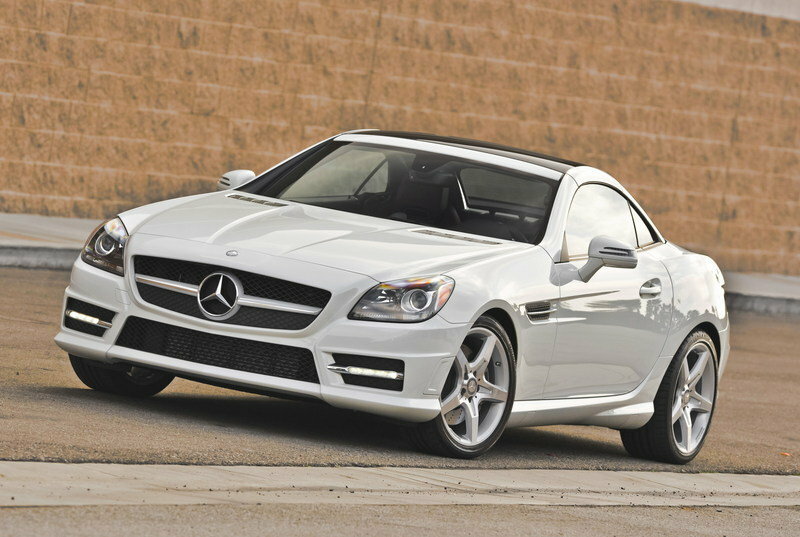 The SLK’s folding hardtop was a strong selling point for the car, as both the Porsche and BMW only included soft tops. In 2000, the SLK got its first refresh, bringing it (quite literally) into the 21st century. In 2001, Mercedes added an AMG model with added power, bigger brakes, and a faster-shifting automatic transmission. 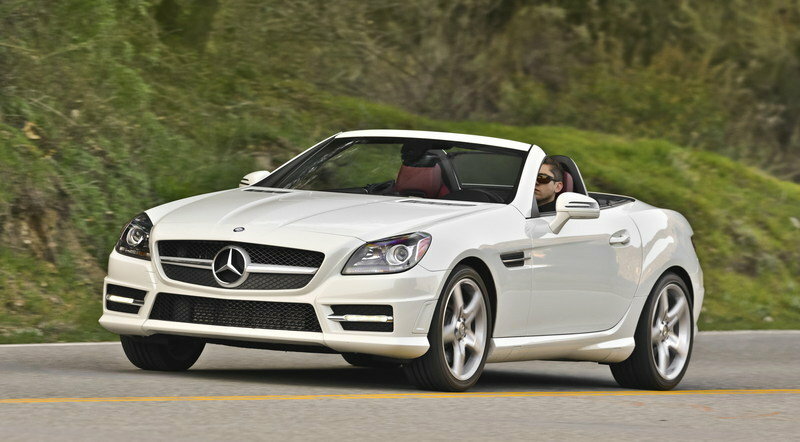 The second-generation SLK was introduced in 2004, and that lasted until third-gen debuted in 2012. Over the years, the SLK’s engine bay has housed everything from turbocharged four-cylinders to naturally aspirated V-6s to a roaring AMG-developed V-8. 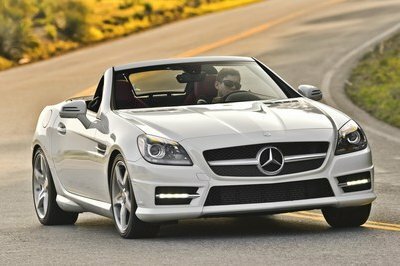 The current SLK will be getting a host of mid-cycle upgrades for the 2016 model year at which time the roadster will also be renamed the SLC-Class to better fit in with Mercedes’ updated naming convention.